Hola, my friends I am sorry that it has been a minute since my last post :(. Anyways I wanted to share this great recipe that I’ve made twice since I last posted. I was trying to get Billy to play hokey with me from work on Earth Day (April 22) , which didn’t work so well considering my sweet husband has a hard time saying no. So I got him a little here and there through out the day, while we were eating our raw oatmeal, and drinking our fair trade coffee we happened to catch the Rachael Ray Show. I had a hunch that she would probably make a vegetarian dish considering it was Earth Day, and I was right. 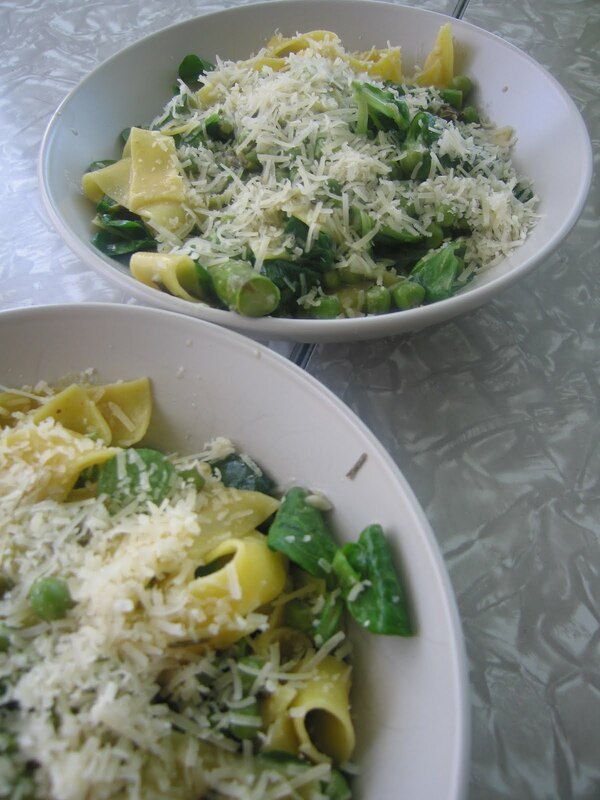 She made this awesome Spring Pasta dish, Billy liked it so much he asked me to write it on the ‘list’ (this would be the new list we started so I could keep track of his favorite recipes since he can never remember). This dish is full of fresh bright flavors, it’s like a spring party in your mouth.